Use the email and password you have registered with to sign in. Click Sign In. Be sure not to click the Enter button on your keyboard at the end of your email address. Use the cursor to move to the password box or use the Tab key. Find the event you want to enter. You can use the filter buttons to make the list a littler shorter. Events are organised in chronological order. 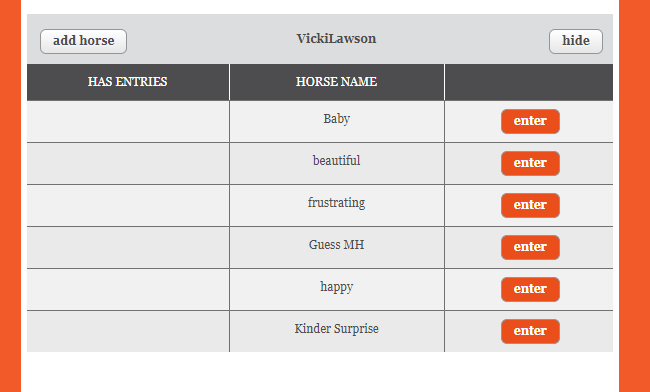 You will then see a list of your horses. 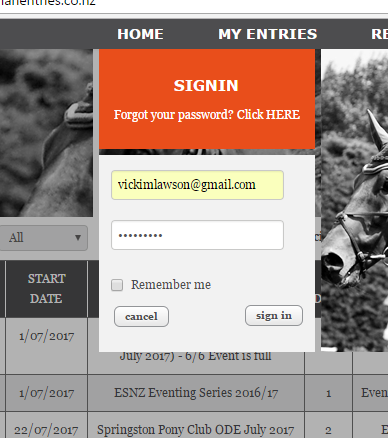 Click ENTER beside the horse you wish to enter. You will get a pop up with the list of classes available at the show. Tick the enter box on the left for each class you want to enter. and then click the Save button. 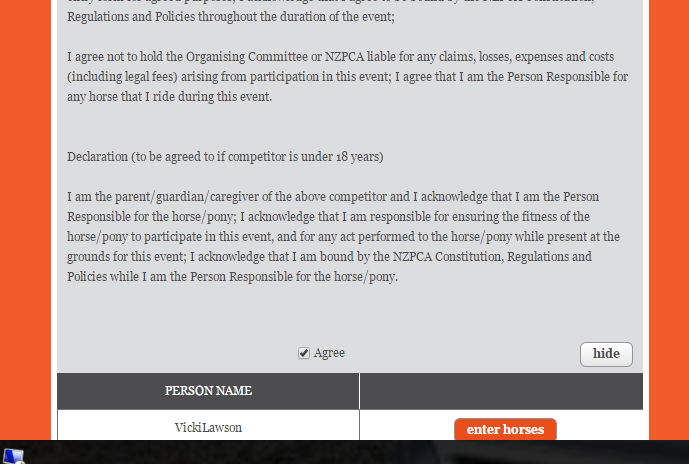 At this point you can enter additional riders or horses by repeating the process. You can also choose any optional fees such as yarding and camping. If you have any special requests or are riding a test of choice you can enter this information here. You can now enter the names of any Volunteers who can assist at the event. You have now completed your entry. Once you click the Confirm Entry button your entry cannot be removed from the competition. You will receive an email confirmation of your entry and it will show on the website after approximately 30 minutes. Posted by: Vicki Lawson - Sun, Jun 25, 2017 at 10:38 PM. This article has been viewed 4339 times.